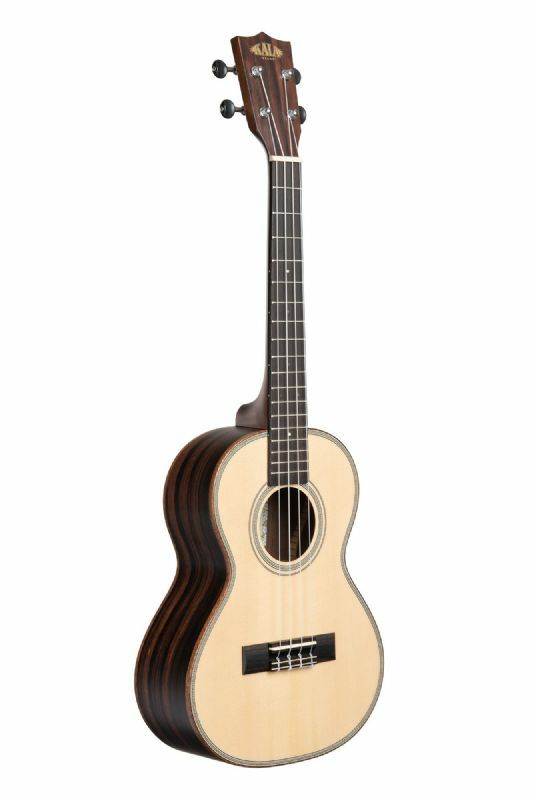 New for 2019, the Solid Spruce Exotic Mahogany Series comes in concert and tenor models. Spruce has a broad dynamic range that works well for both strumming and fingerpicking. Spruce’s consistent, clear, balanced, and robust tone pairs well with the resonance, midrange frequencies, and quick response of Exotic Mahogany. Available in concert and tenor models.